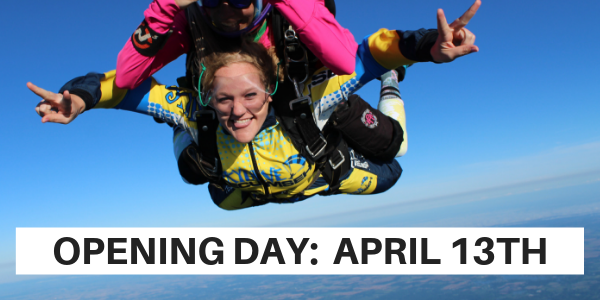 Looking to go skydiving near Lansing or East Lansing? Well, you’ve come to the right place! 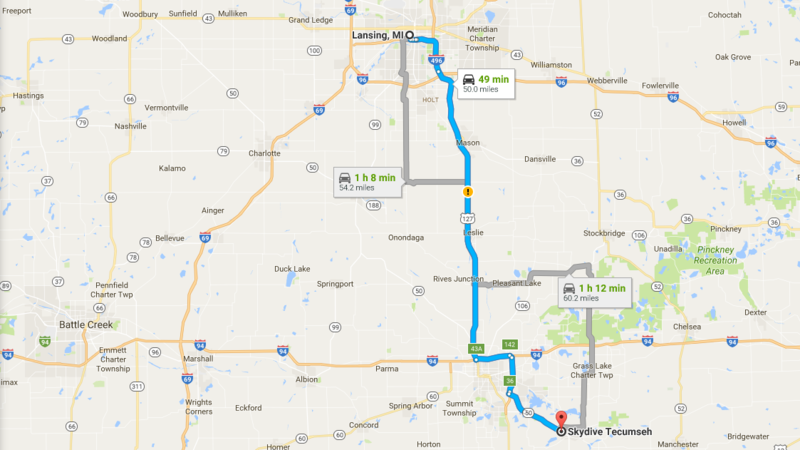 Skydive Tecumseh is located just 50 miles south of Lansing, MI which means you can reach us by car in about 45 minutes. Our proximity to East Lansing and our long-standing reputation as Michigan’s premier skydiving center have made us the #1 choice for Lansing skydiving for more than 50 years! Why Jump at Skydive Tecumseh? If you’re an MSU student, Skydive Tecumseh is the perfect place to make your first skydive or earn your skydiving license. Show your valid student ID and you’ll receive $20 off your jump! We also offer group discounts so grab your friends and come see us. Our fast, turbine aircraft seats 12 people so you and your friends can ride to altitude and jump together! Over the years, we’ve also worked closely with different student clubs and charities from MSU to help raise funds and awareness for important causes. If you’d like to organize a charity jump, please contact us – we’d love to speak with you! Click the button below to book your skydive online now! Though our name suggests we are in Tecumseh, Michigan, we relocated to the Napoleon Airport in Jackson, Michigan in 2016, however, we decided to keep our name after 50 years of jumping in Tecumseh. We’re the same company with the same great people and now we’re even closer to Lansing than ever making us the closest skydiving facility to Lansing. Skydive Tecumseh is a unique skydiving center because of the aircraft we fly (a twin-engine King Air) and the altitude we fly to – 18,000 feet which is the highest in the state. Additionally, the vision of our owner, Franz Gerschwiler is clear: to never rest on our laurels. While we’ve been operating for more than 50 years, Gerschwiler’s goal is to continually improve. In 2017, we will be completing our brand new hangar and other amenities (which we’re very excited about!). If you’re considering making a skydive, we invite you to experience Skydive Tecumseh and meet our amazing community of skydivers and instructional staff. Allow us to take you on the adventure of a lifetime! We had to reschedule our jump three times due to weather, but it was definitely worth the wait and I'm definitely going again! The entire crew was amazing! Copyright © 2019, Skydive Tecumseh, All Rights Reserved.